When we think of home recording studios, what often comes to mind first is that it is a tool for recording tracks that then get distributed to fans. However, as studios and recording software become less expensive and easier to use, the tools are increasingly finding their ways into the creative songwriting process. In this interview with producer/songwriter/Berklee Online instructor Shane Adams, we look at how our home studios can support our creative process. 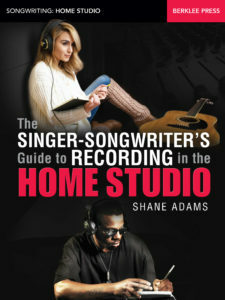 And if you wish to learn more about recording at home, Shane’s new book, A Singer-Songwriter’s Guide to Recording in the Home Studio, will lead you through the process, step by step. How does having a home studio support your creativity? You can get the studio involved much sooner in the process. Traditionally, most artists don’t go to the studio until everything’s all finished—written, rehearsed, and ready to record. If you’re a big famous rock band, you can book a studio for months and spend your life in the studio. That costs money though, and until just a few years ago, that process was out of reach for most of us. Now, anyone can have that capability for a few hundred dollars. When you have a studio where you live, you record any time, day or night. In your home studio, you have access to recording and producing tools all the time, with no cost beyond the initial investment. Your studio lets you save your ideas, try things out immediately to see if they sound good, build on them, and mix and match them together. How do you use your studio to capture your raw ideas? When you’re writing a song, often, your first choices are really good. Songwriters may go through many iterations of an idea before they decide on something. Often, though, if you can just record your idea the first time and hear it, it actually sounds really good. Then, you can build on those initial ideas, rather than iterating the life out of them. Besides just recording into my DAW, I sing my initial song ideas into my iPhone all the time! There’s an app called Music Memos that I use. It records my singing, and then it actually grabs my key and tempo. Then, it can add a drum beat and guitar part based on what it senses I’m playing. I probably won’t use these informal tracks in a final version, but it will capture the initial idea and help keep me inspired. I just did a project for the Country Music Hall of Fame, where I had to basically write four or five songs in an afternoon, and I used Music Memo all day. Then, I exported them into my DAW and did all kinds of editing and stuff. But it’s really useful as a note-taking device—no pun intended. Sometimes, technology feels like a barrier to creativity. You’ve got an idea, you’re all inspired, and then you sit at the computer, and then nothing works and you waste 45 minutes. By the time you actually get it running, you’ve forgotten what the idea was in the first place. Do you have any advice for overcoming that barrier between you and the technology? Template template template template! Create a template DAW session file that you use as your starting point, rather than setting up a new session every time. That way, everything is set up before you start to work. My templates give me about 80 percent of what I need to do immediately. Everything’s set up before I sit down to write. It has tracks with my “top ten virtual instruments.” There are two favorite pianos, a couple of my favorite electric pianos, the two virtual bass sounds I use; I have guitar tracks all ready. I use a program called Superior Drummer for my MIDI drums, and in my template, I pan all my drums. I have a tempo track, a time signature track set up all ready to go to where I can just click and enter a number. I hide the tracks I’m not using, but they’re waiting for me in the background. How do virtual instruments support your creative process? Besides just recording, a home studio gives you access to sounds and instruments. 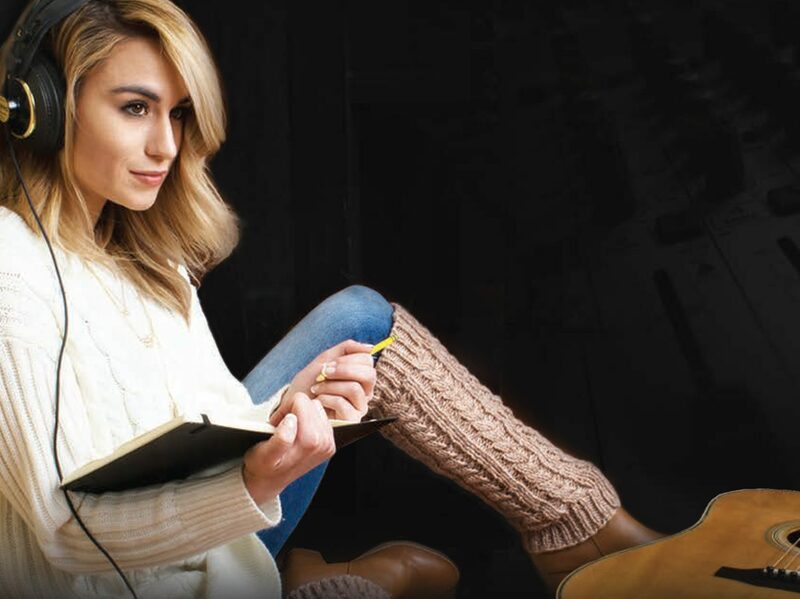 You can start your songwriting process using a sound or a loop to spur your creativity. I’m a piano player, and I know that simply switching from an acoustic to an electric piano sound can inspire new and better ideas. There’s a new instrument by Kontakt called Una Corda. It’s a specially built piano that only has one string per hammer, and it has this really pure, beautiful bell-like tone, which is unlike anything I’ve ever heard. Just hearing that sound has inspired me. I want to write a song for that sound. Being the hack guitar player I am, there are virtual instruments that allow me to play guitar parts—to play arpeggios that I could never do in real life. Those spur me to write in a different way than just plonking something out on the piano, which I’ve been doing for many, many years. I’ve been playing around with Kontakt 5, which is actually more of a program that is an aggregate of other sub-instruments. Native Instruments has Strummed Acoustic (1 & 2), which is just really lovely; it’s different acoustic guitars. Even different acoustic guitars bring out different elements of my writing. One might have a brighter sound, one might be little more warm and tubby, and one might sound more bluesy. Just the timbre of the instrument I use changes how I write, because I want to come up with a song that matches that tone, or matches the feeling of that instrument. The same with using string pads. There’s a wonderful instrument by Spectrasonic called Keyscape, which is a collection of really wonderfully restored 20 or 30 electronic keyboard instruments: Rhodes and Wurlitzers, but also some obscure vintage instruments that are hard to find. So now, you’re using sounds that no one else is using—sounds outside the sphere of normal use. That can be inspiring, just placing yourself in a situation where you’re doing something different that’s breaking your routine. So, you’re not starting with a blank page anymore. And you don’t have to start with a lyric concept or chord progression or melody. You can start with just the sound, if that’s what inspires you, and the world of virtual instruments gives you far more sounds than what you would have access to previously. How can your studio help you try out radically different ideas, such as different lyric stories or different approaches to choruses, or other song sections? I like to record several versions of a verse independently, against the same click track. Instead of going through the song linearly, I might record an A song section, and then actually cut it out and paste it into the song in a different position. So, I can try different versions of a verse to see how it actually sounds within the mix. Cubase has an “Arrangement” feature where you can mix and match different sections of the song, rearranging them on the fly. I can easily set it to try my outro as my intro or switch my first and second verses. Or, let’s say I recorded prechoruses, I could easily program the playback to skip the prechoruses, going right from my verses to my chorus. I will vary this, just to see what it sounds like, before making a final decision. I might record eight different verses and plug any of them into a regular verse/chorus structure. I can mix and match anything. Also, I can actually change the keys of the song within the DAW. If it’s a MIDI part, I can have it change the major chords to minor chords, or the chord progression, without having to go back and rerecord. So, it’s very flexible. It sounds like these tools make it easy to try new versions of your songs. Then, you can listen back to your various approaches, so that you can more objectively choose the best one. How do you keep the different versions organized? Instead of having just one session file for a song, I create several “revision” session files. In these sessions, I’ll try out different ideas. The file name will be “My Song Revision,” or “R01” and “R02.” In parentheses, I’ll indicate the purpose of the revision: “different piano part,” or “different verse lyric,” or “new intro,” or “new arpeggio”: “My Song R01 (different piano).” This makes it easier later to identify what’s in them. At a point, I will compile elements from these different revisions. I might like what I did with my verses in R01, but prefer my choruses in R02. So, I can play matchmaker and have a better song in the end. The song production process now is more asynchronous than it used to be. Now, it’s often the case that it’s several smaller recording sessions that get knitted together, rather than a bunch of rehearsals and preparations leading to a single grand session, with some overdub sessions tagged on at the end. Can you trace how that process works? Songwriters will typically use a simple DAW such as Sequel or GarageBand. They create a basic arrangement of their song. Often, songwriters are not as good players as professional studio musicians, but they can get the tempo correct, they can get the chord structures, they can bang out a basic guitar strumming pattern or a piano arpeggio pattern. So, they can map out the entire song within Sequel or Garageband, and then send those session files to a higher-end studio, whether it’s a dedicated commercial space or just a home studio with better gear and a more experienced engineer/producer. We’ll overdub the parts with professional musicians, or perhaps just rerecord the singer-songwriter with better mics, and so on. As a producer, I might rework the arrangements. Similarly, I occasionally take some higher end gear to someone else’s home or home studio and record them singing or playing. I’ll pack up just my expensive microphones and mic pre’s, fly out to their location, record their parts, bring them back to my studio, and continue from there. You also work with a lot of session musicians who have their own home studios. What’s that like? I send files to musicians all the time. One of my favorite guitarists lives in Texas, and of course I live in Nashville. I send him files constantly. His home studio has all the expensive guitar pedals, expensive guitars, etc. Do I want a vintage Strat? He has all that stuff. I’ll tell him what we need, and he comes up with ideas or an arrangement. We send files back and forth, and then I can pick and choose what I want. A lot of drummers do that, too. Most professional session musicians now have the capability for me to send them a song file, and they just add to it in their own studio. Also, tools such as Cubase’s VST Connect are making real-time collaboration easier, with USBs cameras, no latency issues, and so on. Let’s plug your book! It does such a great job of demystifying the process of setting up and using a home studio, from a songwriter perspective. One of the main reasons I wrote that book is to help people get over the technology so they can get to writing and get to recording. It was really written for songwriters, not engineers. I didn’t come from an engineering background, I came from a songwriting background. I spent many years helping songwriters turn in their songs to publishing companies. We all want to create great demos on a budget, and I hope that my book helps people do that. Ultimately, the most important reason for a home studio is to have a means to getting your songs “out there,” so that they have some kind of existence beyond just being played live. Without a recording of your song, you’re only limited to some kind of live performance of it. In a home studio, you can create digital files or a CD. You can create a professional sounding demo to send to people in the music industry, scratch recordings to share with your collaborators, or an informal MP3 to share with your grandma in Winnemucca, Nevada. That’s the most obvious reason to have a home studio: you can create recordings of your songs quickly, in your own time, and for very low cost. A byproduct of this relatively new model for independent production is that we now have constant access to these great tools that also support our creative songwriting process. 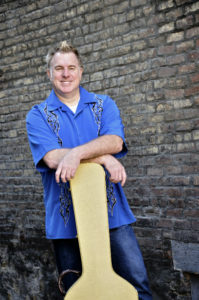 Shane Adams is a twice GRAMMY-nominated music educator and an award-winning producer and songwriter. Shane is president of Artist Accelerator and a founding lyric/songwriting instructor for Berklee Online. He is author of The Singer-Songwriter’s Guide to Recording in the Home Studio (Berklee Press 2016).